Tableau Prep is a desktop software tool that was introduced this summer. It’s a new offering in the Tableau Product family, joining Desktop, Server, Online and Reader. Tableau Prep is a separate software installation, with its own license key. With the new licensing of Tableau, everyone with Tableau Creator (which includes Desktop) also has access to Tableau Prep. 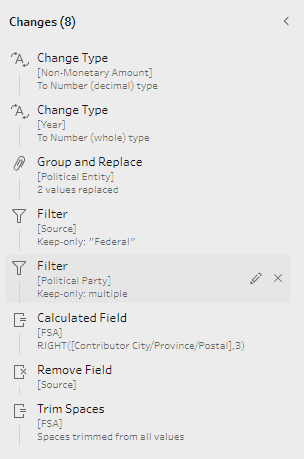 All of this and more can be achieved in Tableau Prep, in an easy-to-understand, visually attractive, point-and-click tool. Tableau Desktop is the white icon on the left. Tableau Prep is the blue icon in the centre. 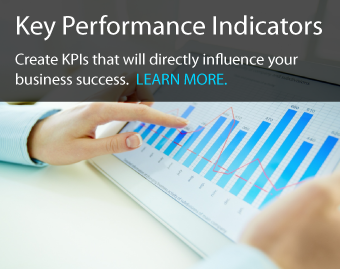 You’ve heard it repeatedly, for years – prepping and cleaning the data takes far longer than the actual dashboard design or reporting project. 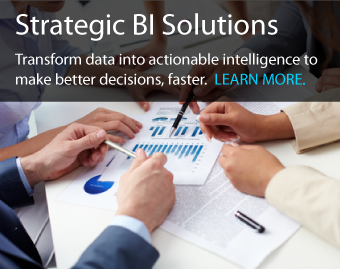 Everyone needs a tool to prepare, cleanse, transform and manipulate their data. 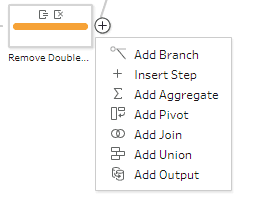 Often, this is done in cumbersome ways inside Excel, but Tableau Prep offers a much easier and more scalable solution. There are many competing tools to cleanse and prepare data – leading vendors would include Alteryx, Talend, or Informatica as well as tools that are tied to a specific environment like SQL Server Integration Services (Microsoft), Business Objects Designer (SAP) or Infosphere (IBM). What makes Tableau Prep unique? First, integration with the Tableau environment. 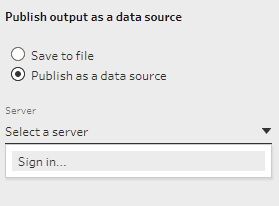 Tableau Prep outputs Tableau extracts by default and contains an option to publish them directly to Tableau Server. Second, Prep maintains the clean look and feel that characterizes Tableau. Prep offers a very simple suite of tools to manipulate your data. At any point, there are only 7 possible “steps” that can be added to a workflow. Some tools offer hundreds of different operators to flatten hierarchies, geocode addresses, perform complex filters and call APIs. Like Tableau desktop itself, Prep opts for a more minimal approach. Third, Tableau Prep leverages the Tableau Data Engine to perform extremely quickly. In our in-office testing, Tableau Prep was able to reshape and write 1.4 BILLION rows of data locally in under half an hour – a very impressive result. 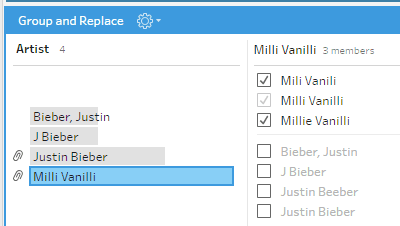 What about the entries “Bieber, Justin” vs “Justin Bieber.” Thanks to Prep’s “Group – Common Characters” feature, we can combine these into a single entity. Again, this would be extremely difficult to achieve with formulas – even Tableau’s powerful Regular Expression formulas wouldn’t provide an easy solution to this. Previously, all of this needed to be cleaned by hand. 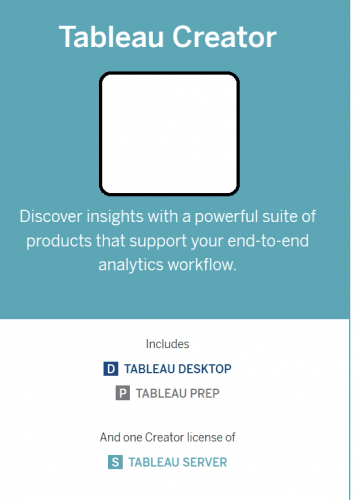 Tableau Prep – What’s Next? Tableau Prep is still a very young tool. Recent updates have included the PDF data connector (one of my favorite tools in Desktop) and the software will continue to add new functionality, including the possibility of new steps (e.g. rows to columns instead of only columns to rows). Prep lacks the full range of connectors that are available in Desktop. Prep connects to many common data sources like Oracle, MySQL and DB2. However, many of the convenient web-app integrations from desktop are missing: Google Sheets, Salesforce, Dropbox, Sharepoint Lists, Quickbooks and so on. Prep doesn’t handle spatial files. Tableau desktop has made great strides in handling spatial files, supporting shapefiles, KMLs, geodatabases and recently adding spatial joins. None of this is available in Prep yet. Prep doesn’t even support geographic roles that are a standard part of Desktop. Prep doesn’t write back to databases. Some data prep tools allow you to write the results of the process directly to a database as a table. 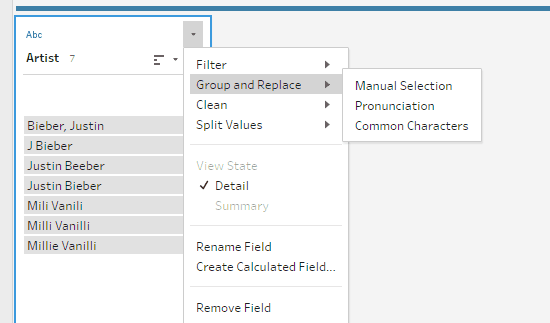 This isn’t available in Tableau Prep – it only returns either Tableau Extracts or a text file currently. Tableau Prep offers a flexible, fast and fun way to Prep your data for presentation. 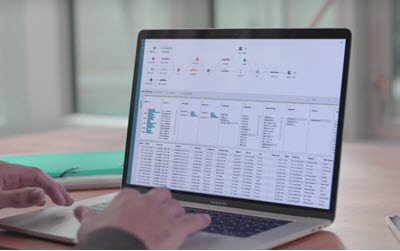 Like all Tableau products, there are plenty of videos explaining the process and offering walkthroughs on the Tableau website. 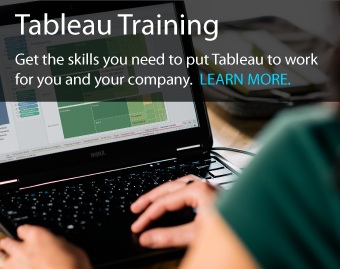 Additionally, Unilytics offers 2-day training courses on Tableau Prep delivered onsite or at our Toronto facility. Please contact us if you would like to drastically reduce your data cleansing time and create scalable solutions for your data.